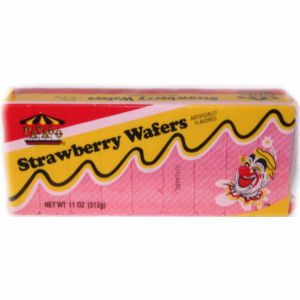 Payaso strawberry flavored wafers are everyone's favorite. Our wafers are thin and compact. A delicious strawberry flavor and a unique recipe. Payaso combines a 3 wafer sheet to make one individual unit, separated by a strawberry colored sugar coating and filling. The taste is simply awesome. One of our most popular items.